I have always felt the phenomena of too many people trying to teach is a cancer on the martial arts. In class obviously beginners need assistance but this should quickly be supplanted by self reliance. Don’t rely on others to teach you. general class is not for private tuition. It is for training. As for those who spend more time teaching and talking than hard training…..just train. Many times people are wasting time on the matt trying to teach someone and often they are wrong or neglecting the hard work of training themselves. Ones primary mission is to train. Don’t self appoint teaching roles to yourself. I will do that. Try and improve everyday in Keiko. That is your mission. Talking doesn’t teach like doing does. Also the recipient of this dubious wisdom is often not receptive or open to it (sometimes rightly). Reflect on yourself. Everyday in class i teach and give information on how to do Aikido correctly. Focus on this. Don’t add layers of dubious info. Students should focus on what I am saying when demonstrating and try to do that. That is what a general class is. Focus on your goals. reflect on yourself. be self reliant. Take responsibility for your own keiko and don’t externalise. Exhibion flyer 1 Aikido Tabi-Ji PDF refducedAikido Tabi-ji is a series of images taken from my upcoming book. Please feel free to attend the opening or come and see it over the following week. Details below. Aikido vs other martial arts. 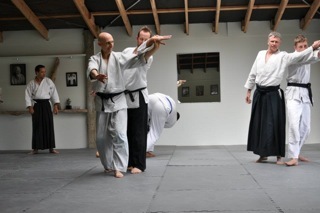 Aikido has no need to prove itself. Aikido works, well. In fact it is among the most effective martial arts in existence. 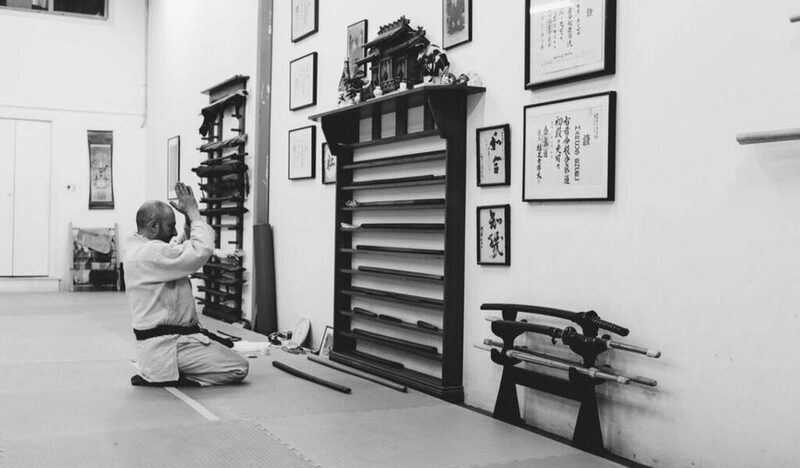 The fact remains though that Aikido serves many purposes such as mental, physical and spiritual development, meditation and self defense. In Aikido we also allow anyone to train. Students may be old, infirm, ill or otherwise unsuited to sparring and physical combat. In a sport based martial art such as boxing, BJJ, MMA, Teakwondo etc students always practice their moves at full power which gives them a great deal of skill when using them. The techniques are developed in a manner to be able to practice in a more or less safe manner. Aikido however is a Budo. Traditional arts were never practiced as sparring forms as in the old days one only practiced to kill someone in a life and death battle and they practiced them the same way they would use them in reality, which is not the same as you would in a sport. 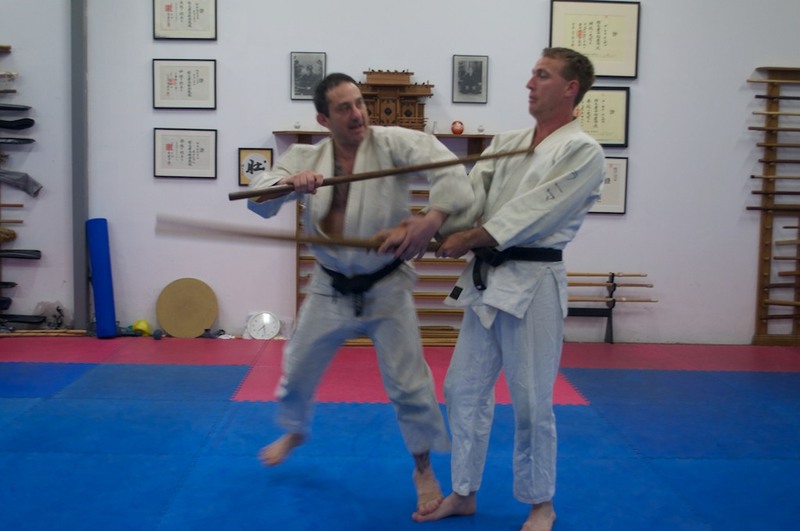 I have often heard people from modern combat arts like Systema, Krav Maga and others say that Aikido is weak and that only they practice real fighting techniques. Well let me just say Aikido techniques are real world techniques. 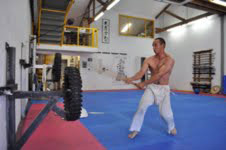 Some are outdated and belong in a different field of engagement i.e., samurai combat but all have modern equivalents. 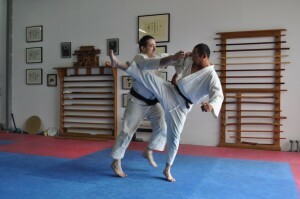 Aikido contains many of the most effective techniques in the Martial arts. 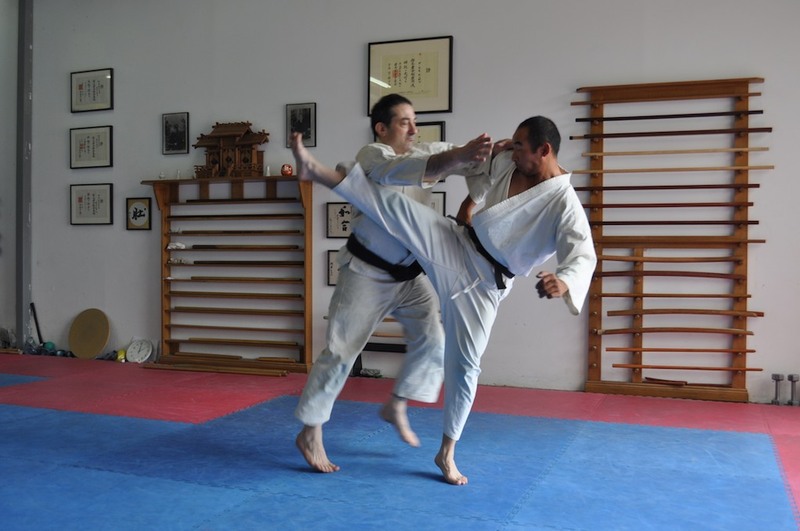 In any military today enlisted men are taught what could be seen to be Kata., (pre arranged moves), these are a method of understanding technique. All arts use them from wrestling to Escrima, Systema to Krav Maga, BJJ to MMA its only the emphasis that differs. So back to the original question….there is no best martial art for combat. It comes down to the individual. 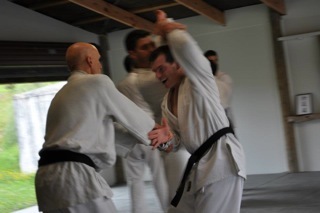 MMA students will have a huge advantage unless the Aikido-ka is familiar with full contact or real combat scenarios. Just remember though there is a huge difference between someone who does MMA at a gym and a real MMA fighter who gets in the Octagon and puts it all on the line. Professional fighters are light years ahead of other fighters. MMA is a great discipline. It is very different from Aikido. Aikido lets all people participate at a level comfortable for them that doesn’t mean that someone who doesn’t take the same risks with their life and health as a professional fighter could ever hope to beat one in combat. All the combat arts are good. Find one that you love and take it to the limit. Thats how to be good. Martial artist who think they can train a few times a week and beat a mugger who bashes and maims people every week is crazy, similarly if you want to be able to hang with a pro fighter you have to train just as hard as they do. Thats about 4 hours a day 5 or 6 days a week for all your formative years 10-20. The good news is you will be able deal with about 90% of combat scenarios that are likely to come up in a normal persons life if you train a few times a week. For those who come to class casually well….they can expect results in line with the effort. deshi is a deshi that lives outside the home of their Sensei. 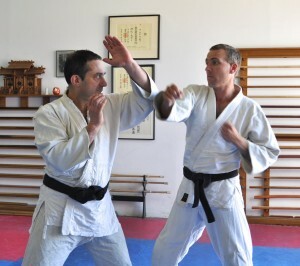 Soto deshi participate in special private training sessions. paramount in this type of relationship. the complete system who will carry it forward into the future. 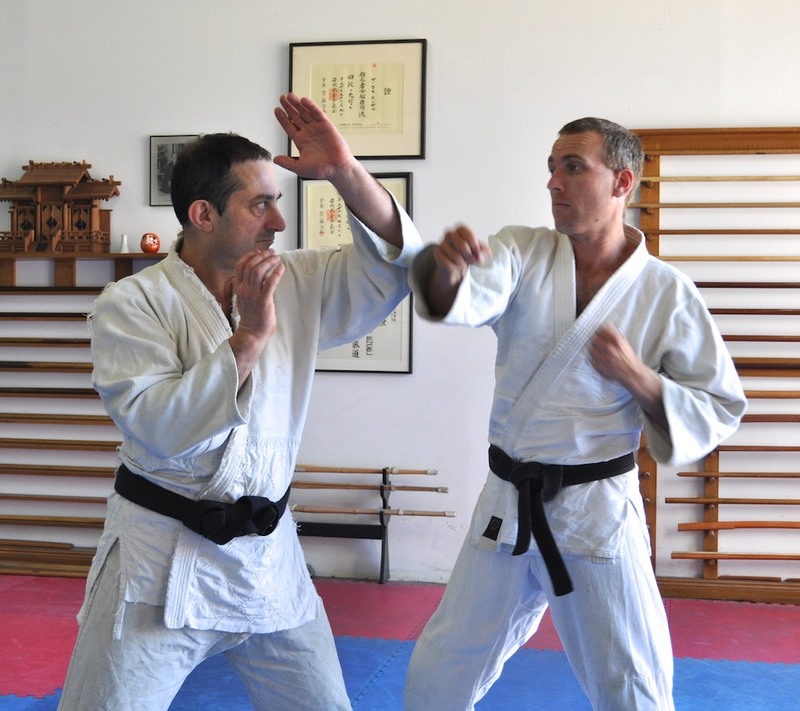 teach the higher and more secret levels of Pure Aikido. 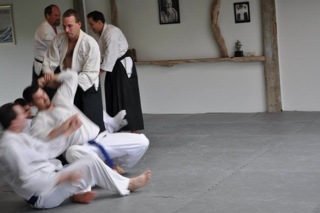 Pure Aikido system. Iwama style is “The Basics”. may be made at the discretion of the Dojo-cho. We have commenced morning classes on Tuesdays and Thursdays. They will be instructed by Gabriel Ung one of my foremost students. He brings a huge amount of energy and commitment to the mat. 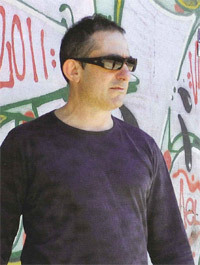 He has a focuses on helping people achieve their personal goals in the art and is also a fitness fanatic. He will bring that knowledge to the mat. For those wanting basics and fitness this class is for you. Join Gabe for thoughtfully planned and executed classes that cater to individual needs. We have uploaded videos to our youtube channel – demonstrating skills and techniques. 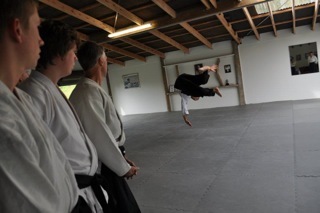 Demonstrated by Marcus Encel and students at the Pure Aikido dojo. 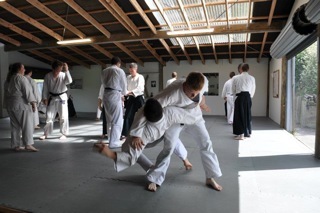 On Australia Day myself (Marcus Encel), and four students, Rama Cronin, John Quinn, Gavin Liddle and Duncan Eves went to New Zealand for the Aikido Institute of Auckland’s annual seminar. Much fun was had by all. Duncan Francis the head of Aikido institute was a magnificent host, and a professional singer. we were treated to many great evenings there. 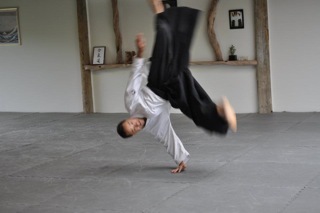 He is a consummate practitioner of Ukemi (breakfalls) and we were delighted by his demonstrations. I would also like to thank Sensei’s Tony and Greg for fascinating conversation and new friendships made. Another great year for Pure Aikido. We had several people achieve Dan ranks this year they were Rama Cronin Nidan, Shannon Owen, John Quinn, Gabe Ung and Gavin Liddle- Shodan. I was very proud of all of you. I didn’t go easy. We also had our yearly award ceremony with Student of the Year going to John Quinn for all his hard training and helpfulness with never a grumble or complaint. He always just keeps going strong. Because he is so self reliant one can forget to show appreciation for the great work put in. Gabe Ung got the Budo spirit Award for carrying on under adverse conditions, And Armin Fuenror was awarded beginner of the year for great improvement and dedication shown. Lastly Sarah Sabandeja was again given an award this time for Grading of the Year. Sarah is amazing. We are looking forward to an even better year as the dojo grows and the depth of talent grows deeper.